As the healthcare industry shifts from a fee-for-service to a value-based payment model, you need to evaluate ways to reduce costs & increase revenues while managing and protecting an ever-growing volume and variety of information distributed across your organization. At Iron Mountain, we believe the deliberate and strategic management of information throughout its lifecycle is a fundamental means to decrease cost, improve patient care, reduce risk, and enhance value. 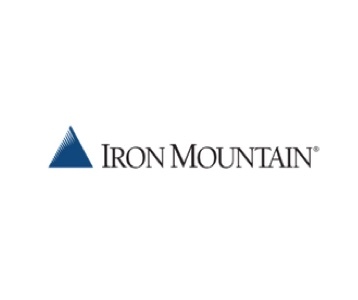 Iron Mountain has developed a robust portfolio of solutions uniquely tailored to help healthcare providers more strategically, securely and cost-effectively manage information regardless of format, location or type. Adopt an enterprise-wide, policy-driven approach to managing your information and assets and enable your healthcare organization to optimize capacity, reduce redundancy and complexity as well as save time and resources. Establish a strategy to sup port the lifecycle of your information and enable more accurate and timely access to patient information as well as improve care with more comprehensive and integrated patient records. Improve security and compliance, better enable discovery management, and support enterprise-wide information governance with a well-applied program. Automate workflow processes to increase efficiency, accuracy, visibility and insights into important business metrics as well as patient care decisions.